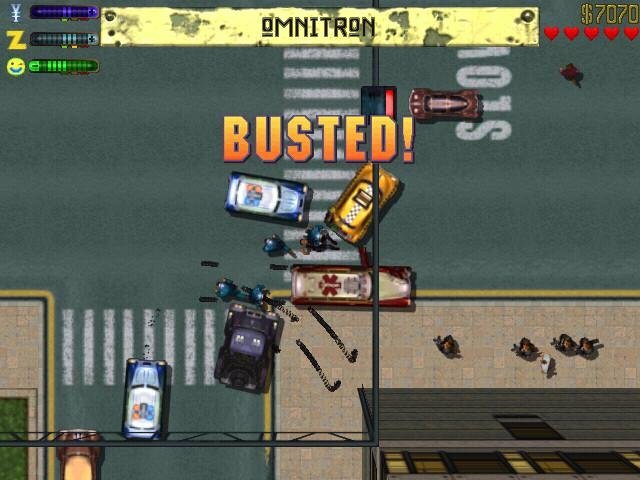 Much like Carmageddon, Grand Theft Auto 2 sports its own brand of dark humor to give it a particular feel. 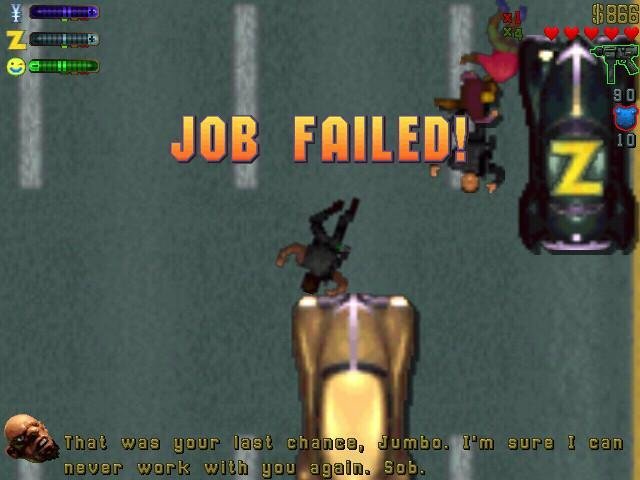 In the game, you’re a lowlife scumbag trying to earn enough cash to crawl your way up the crime ladder. 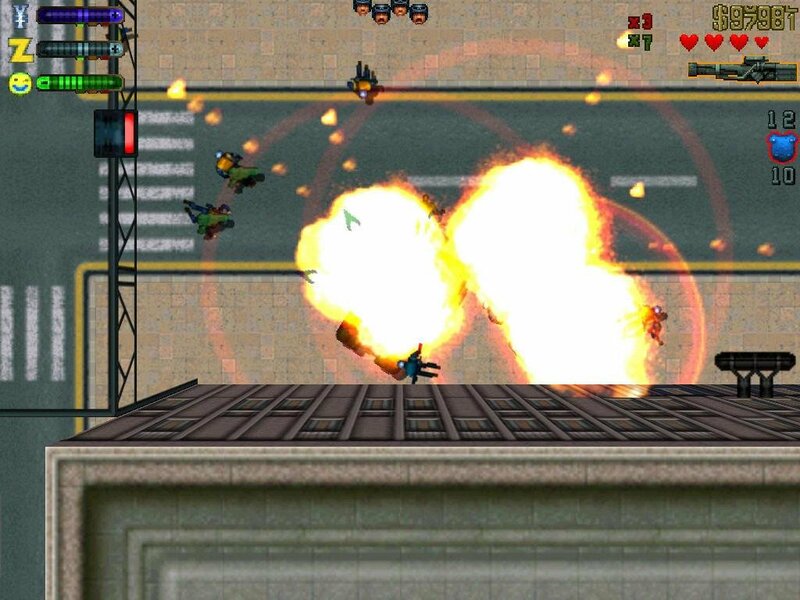 By earning more and more money you unlock new areas and can attempt ever tougher missions. 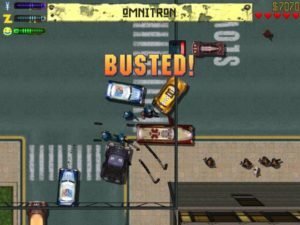 In order to make your gangster dreams come true, you can steal cars and sell them to various junkyards or run around killing citizens and cops. But that’s all petty small-change stuff. 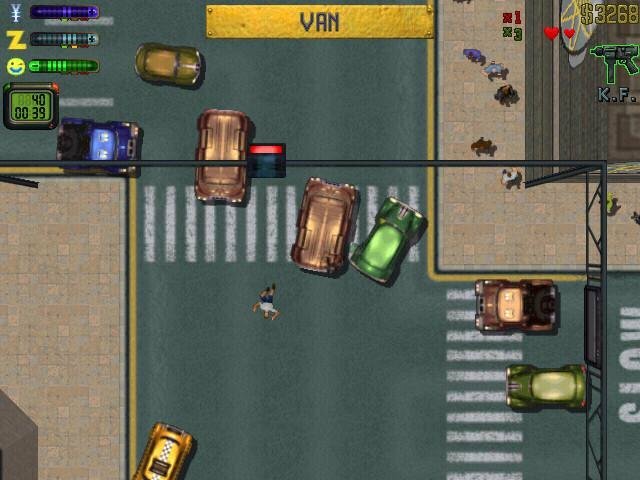 The quickest way to earn a living is to take on various missions given to you by the city’s crime lords. 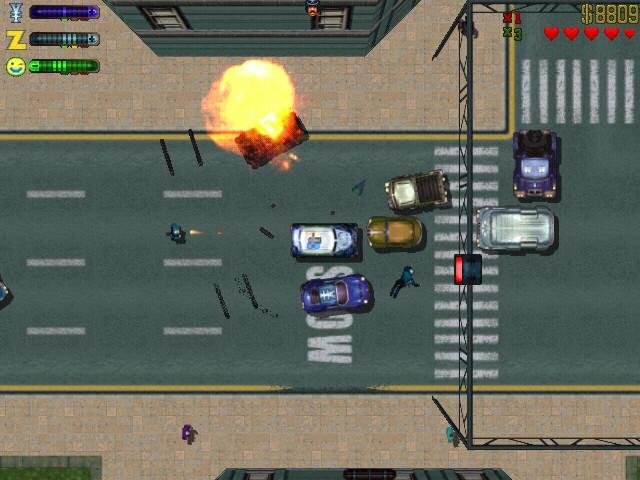 Each is rated for difficulty and complexity (with the reward reflecting the challenge), and the variety of jobs is similar to that offered by the previous game – murders, car chases, bombings, etc. 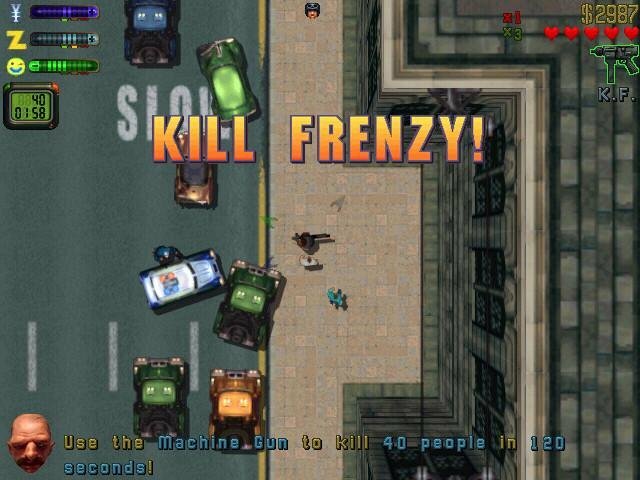 A new twist in the proceedings is the introduction of rival gangs battling for each city zone. 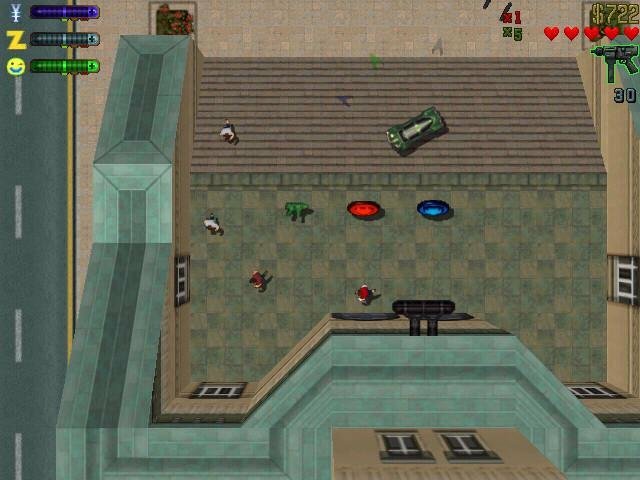 Each area has three or four gangs, with a total of seven for the game. 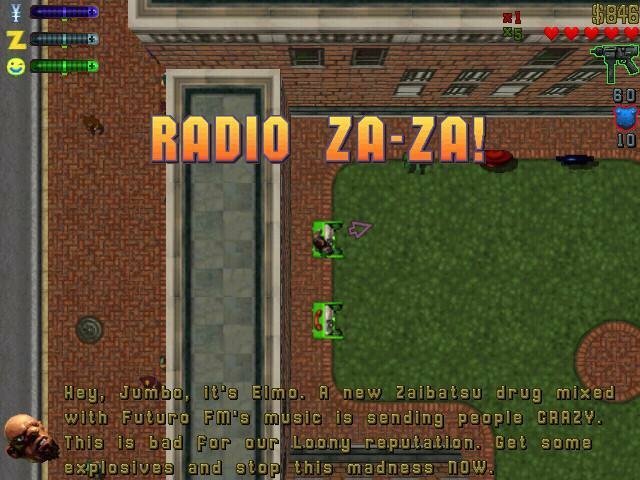 You have the Japanese Yakuza, the Zaibatsu Corporation, Russians, Scientists, Rednecks, Loonies and Hare Krishnas – did I mention this game doesn’t take itself seriously? Nevertheless, doing jobs exclusively for one group will lower your standing with others. 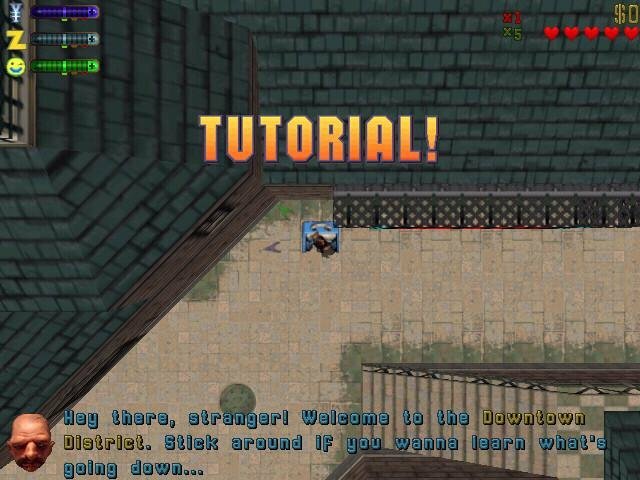 On the other hand, you can easily increase your standing with a gang by killing off members of a rival. 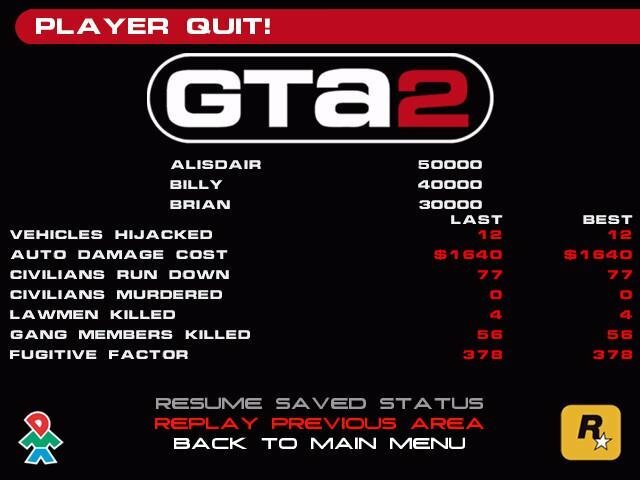 It’s still primarily a single-player game as its multiplayer component is useless over the Internet. 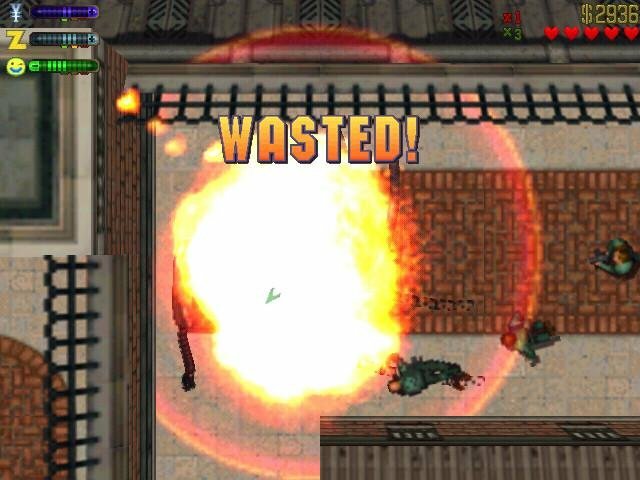 It’s still too hard, and the new mid-zone save feature is something of a joke, forcing you to visit one specific location per zone and costing you game dollars for the privilege of returning later. 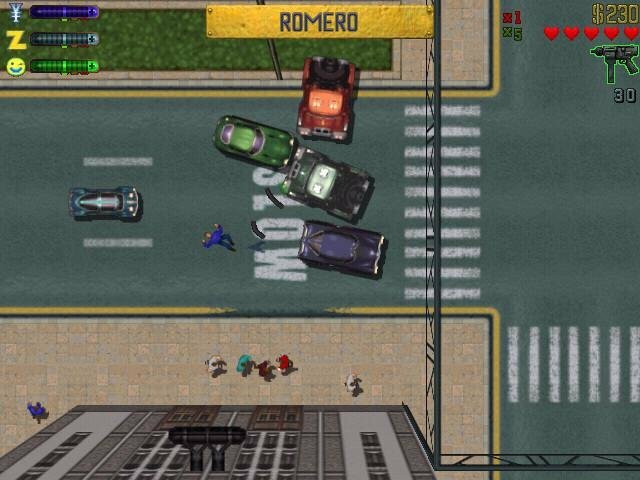 If earning a certain amount of money weren’t the only way to advance in GTA2, this would be easier to accept. While these are all valid criticisms, Grand Theft Auto 2 provides further proof of the strength of the whole living-city concept. Pioneered by role-playing games like Ultima, the game’s Zones are bustling with activity. Because the game doesn’t force you to run on a timetable, you’re free to roam around and explore. 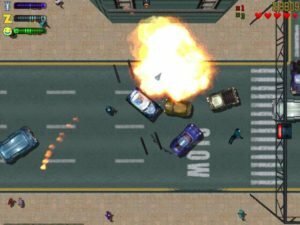 It’s arguable that because the original wasn’t exactly lacking in gameplay, a mere evolution like Grand Theft Auto 2 isn’t necessary. 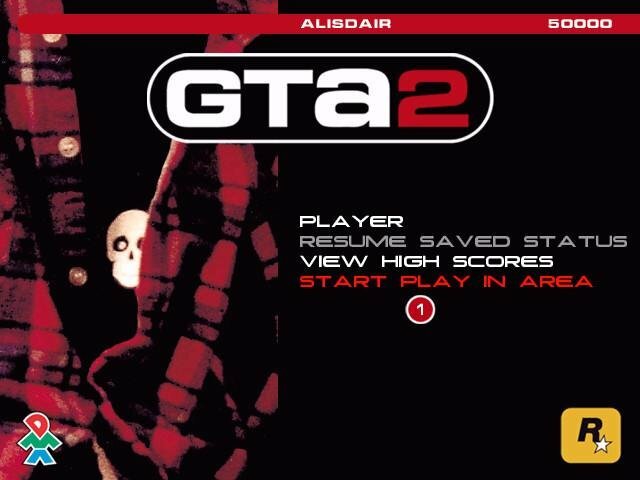 But for those that enjoyed the original’s gameplay, GTA 2 is a welcome drive back into retro land. 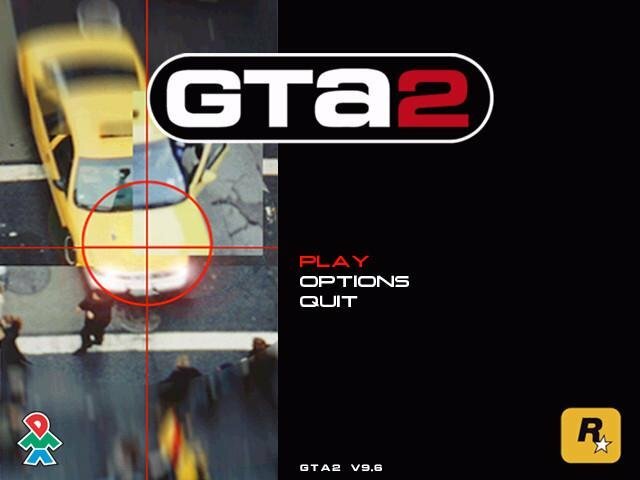 gta2 manager.exe contains a virus.